Distribution is one of our specialties. Our 100+ routes operating daily in Georgia and bordering states allows us to pick up from your distribution centers throughout the afternoon and night and have the product to your customers the next business day (before noon most of the time). In some cases we receive loads from companies as late as 2:30 AM and still deliver product to their customers’ by 8:30 AM that day! Our pricing for this service is competitive with any of the larger delivery companies and our service is even better. In addition to handling the outbound final mile to your customers MGC is also proficient at handling returns. We know this can be a critical part of your business model and we have the operations and technology to get returns back to you efficiently and correctly. 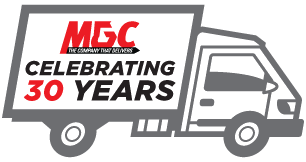 Contact our sales team today and let MGC provide your company with success-driven supply chain solutions.